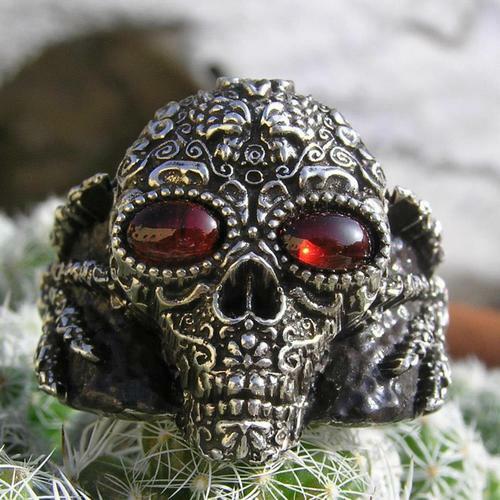 Sugar skull ring with 4 mm x 6 mm Garnet cabochons set in the eye sockets and has two skeletal hands on the sides... can be made in any size. Sterling silver . Like all our jewelry this is a custom piece and will take up to 3 weeks to make in your size .. Other stone colors available message me for details.... Sterling silver. Limited edition of 20.